Perfect interface, full WooCommerce integration, and customer support are essential for any WordPress online shop. Prepare to see all these qualities in our special collection! Present better, inform easier, sell more; the formula is unchanged through years. The templates will fit any business from electronics to jewelry, universality is everything. Responsive E-commerce WordPress Themes – meet the future of WordPress e-commerce for your online store right here! 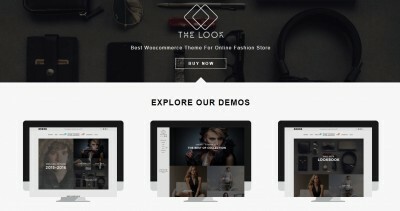 A fine example of a clear, modern, and very powerful shop theme is the Look WordPress template. Been a great fit for a fashion online store it could be used for any corresponding business. The Look comes with full social support, simple installation and usage; a perfect choice for your shop. You can choose from six different demo website designs to have the best pick in case if built-in solution works better with your plans. Change header appearance to make navigation cozier. The shopping website customization was never so interesting! Huge lot store of features, full support of social networks and similar tools, great documentation – the Look will definitely impress you. Bronx is a theme with stunning appearance. It is very universal to be useful as a basis for any online shop. Extended WooCommerce pages with user-friendly showcase will draw attention of your visitors for sure. Try this gem and increase simultaneously your selling rates! The Bronx template comes with unlimited possibilities for home page layout customization and offers you interesting premium slider to create eye candy slide show. Make the header unique by choosing from various styles. You will be surprised even more – both blog and shop areas have two modes of appearance, great! Use various languages and currencies in your shop with ease. SEO optimized and responsive, the Bronx theme does its flawless job. Soffia is an extremely customizable WordPress theme with a lot of various feature combinations and appearance options. Create your e-commerce website with a couple of clicks thanks to simple installation and powerful admin tool of template. Suitable for any business, with great portfolio and blog blocks – Soffia is a great pick! You can choose from 9 home page built-in styles and more than 5 header layouts. Customize your catalogue page as you wish; shop category is at your service. Template uses powerful visual composer and revolutionary slider – premium tools out of box. Mega menu will help your visitors to navigate better and helps your showcase to look really impressive. Unlimited colors and optimized speed as bonus features just strengthen positions of Soffia WordPress theme! A multi-purpose WooCommerce theme for WordPress – the Boulder – is an outstanding and minimalistic solution to all your needs in creation of shopping website. Every single page of theme is unique and carefully crafted. You want some customization? Of course, let visitors decide on the appearance! 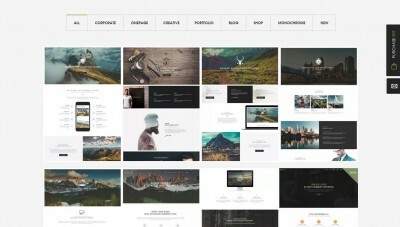 More than 100 theme options is a real treasure for any uniqueness lover. All required tools for WooCommerce integration, premium plug-ins, and gorgeous checkout process – use the best features to increase sales rate, it is really simple! Check the quick view feature to see products details, multiple layouts for customization, and set of showcases; such additional features will definitely increase sales. Use any currency within your e-commerce website, start SEO campaign, and translate into any language. The Boulder theme. Notredam is a modern WordPress theme for creation of an e-commerce website. It has everything you may need to customize and enhance your shop. Latest technologies, eye candy to draw attention, and full WooCommerce support. Good choice if you want to have a unique showcase for products. The Notredam template comes with 8 high quality demo layouts to quickly set up a selling platform. A lot of header variations, products quick view, and shop admin panel – finest tools for business! Mega menu makes navigation easier, while grid design enhances the user experience from the website. Beautiful blog, awesome portfolio, unlimited color schemes, and SEO support makes the Notredam a real gem in our themes set! Claudio is a stylish and minimalistic theme for WordPress store website. It is a good pick for any high-tech or electronics shop because of sharp design and manly colors set, but you may do whatever you want with the template thanks to the full customization possibilities. Claudio is also fully integrated with WooCommerce and supports all features and options of the plug-in. Smooth effects and eye candy of each website page is something to be shown in the first place. Control the theme to make in unique and more user-friendly, depending on goals and specialization of your shop. Unlimited color sets, premium widgets, predefined header and layout styles enhances user experience from usage of Claudio WordPress template. 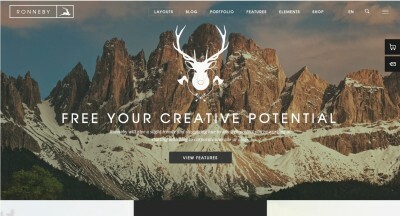 You will be amazed with responsiveness of this theme. Meet the future of online shopping! Contemporary and minimalistic WordPress theme – the Savoy – is a very modern template, which brings focus on particular products you are selling. It is powered by WooCommerce and very simple in installation and usage. This will spare you a lot of time to improve the appearance of the shop and extend its uniqueness. The Savoy comes with powerful search tool to gather info within the E-commerce website, which simplifies the shop usage as well as the quick view function to let your customers browse showcase faster. 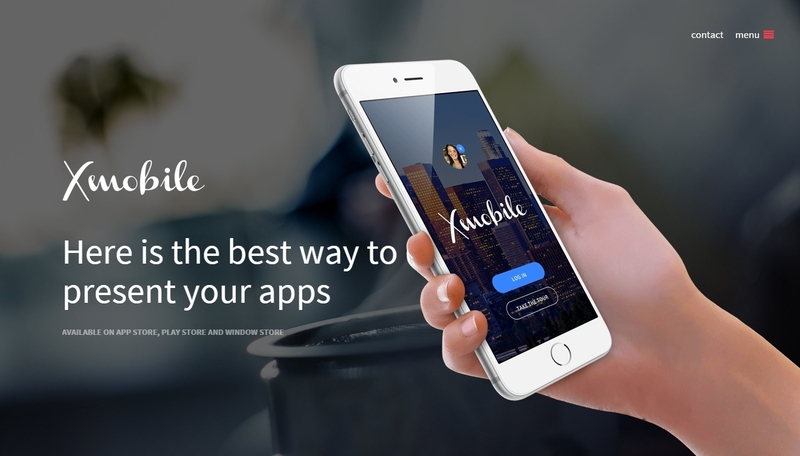 This template also supports mobile devices with touch screens and is fully Retina-ready! Modern design, cozy menu, advanced header features, and powerful admin panel to deal with all the theme features. The Savoy will be your loyal partner in business. 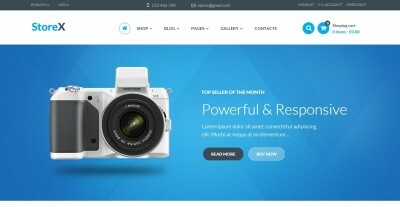 Create a unique online shop with DMCS WordPress theme. E-commerce becomes less complicated with this great template. Fully customizable, responsive, fast, and beautiful – DMCS is a child of modern times. 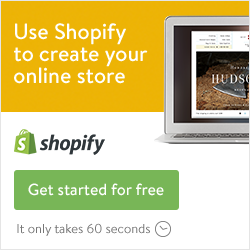 Add some features to the WooCommerce shop and use all the potential of this plug-in, great! Four built-in homepages style with two on their way helps you with the basic setup. You may see all the bonuses of each appearance thanks to predefined data. Use powerful widget to help visitors filter shop results and make navigation even better. Unlimited colors, page builder, customizable layouts are just additional bonuses to such a brilliant template. Optimized for SEO campaign and ready for mobile devices the DMCS theme will be a good choice for any shop owner. Sometimes you need to have all eggs in one basket. Comfort WordPress theme is a right pick in such case. Made to be a mega-showcase with all additional features for online shop as newsletter sign-up, banners, and discount timers the Comfort looks fantastic as well. Live options panel and layout manager simplify detailed tuning of finished WordPress eCommerce project while mega menu is just a perfect tool to help your visitors use the website with ease. Slider manager is another feature for showcase extension. Eye candy of the Comfort consists of parallax blocks of homepage, smooth scroll, and full icon support; uniqueness as-is. The Comfort is ready for SEO and localization, compatible with all devices, and super responsive. Aurelia is a theme, made specially for online shopping. It fits any fashion-related website and is very beautiful. A lot of functions for store management, tools for best user experience, and interesting eye candy of modern visual effects. The template is optimized to work with any device, so you can be sure that any content will be shown equally great on PC or mobile phone. Your products will become live with dynamic effects on presentation area and zooming feature in shop catalogue, which brightens any images and looks very impressive. Take a look at premium slider for a great showcase as well, it is a great bonus. Checkout in one step to simplify ordering process, dedicated color options, custom widgets and full support of translation. Aurelia does the trick! Adrenaline WordPress theme is another example of universal template for online shopping. Any eCommerce project will be a true gem with it! Check the multipurpose design for any particular needs, all popular tools for WooCommerce plug-in, and full integration with premium WordPress add-ons. The Adrenaline comes with 9 perfectly made homepage design styles; more than enough to fit all popular shop types. Use quick zoom plug-in and powerful customization options to create a beautiful showcase, try multi-layout tuning of main page for best results in shop optimization. The template can be used with any languages or currencies; the feature simplifies international trading and makes website more universal. Install the Adrenaline in a moment and use for years, fantastic theme!